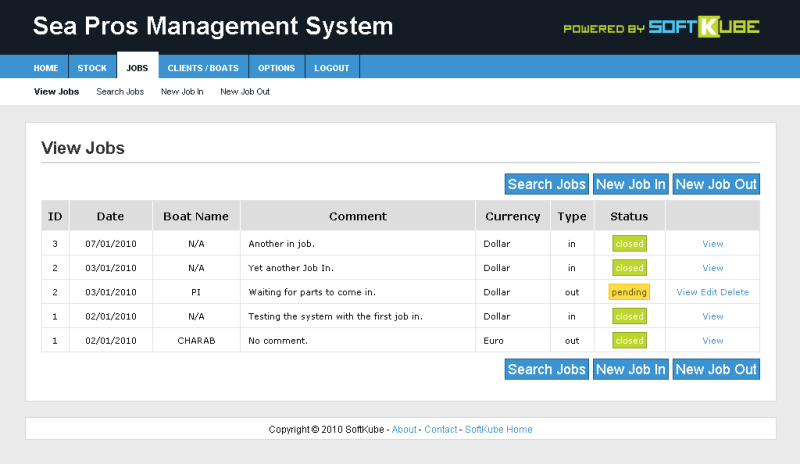 Jobs listing with user-friendly annotations differentiating pending/closed jobs. The system makes sure that all entered data is valid. 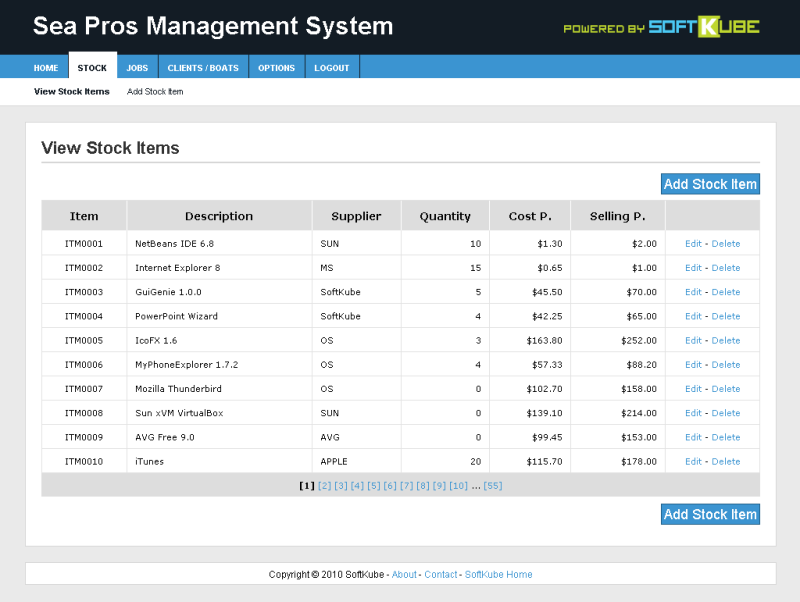 Stock items listing showing the user-friendly paging control at the bottom of the stock list. Well designed and user-friendly confirmation message. 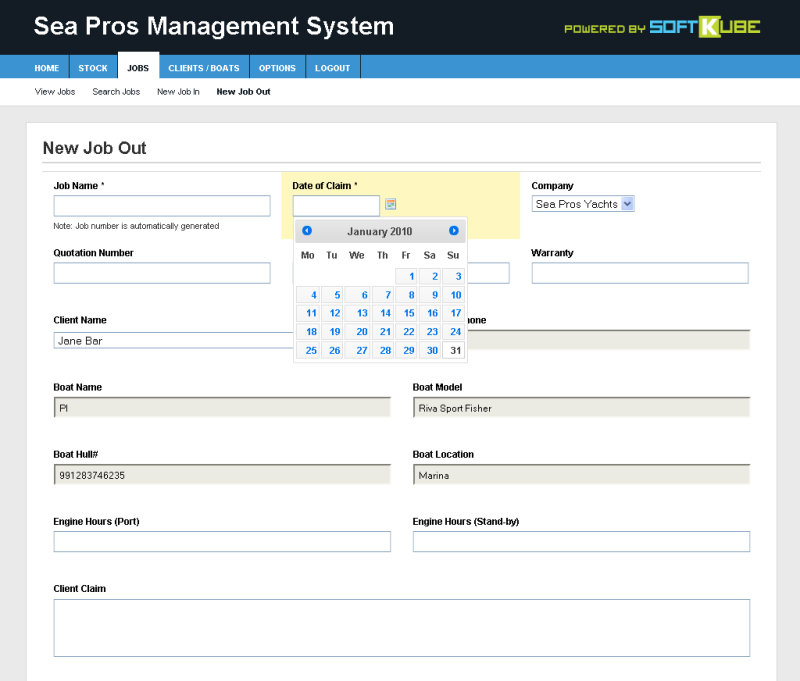 Job creation - Showing job details and dynamic calendar control. 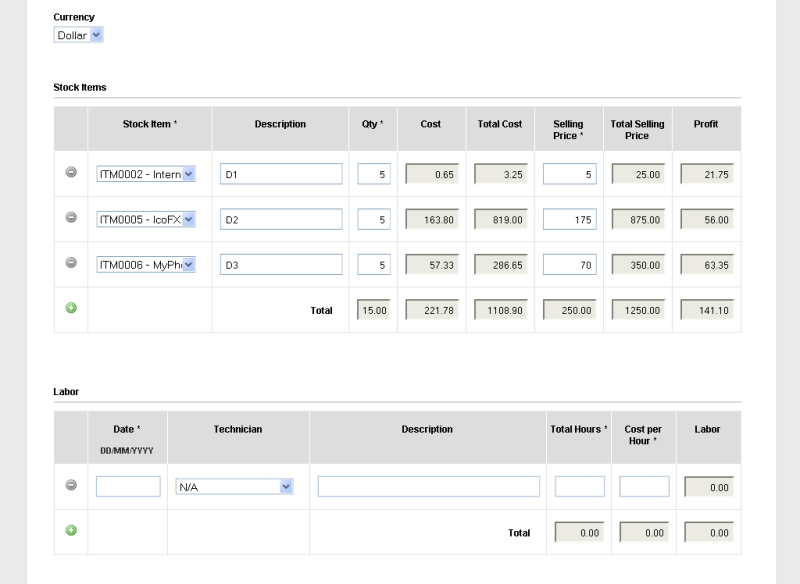 Job creation - Dynamic addition/removal of rows with auto-computations of totals/profits (No page refreshes). 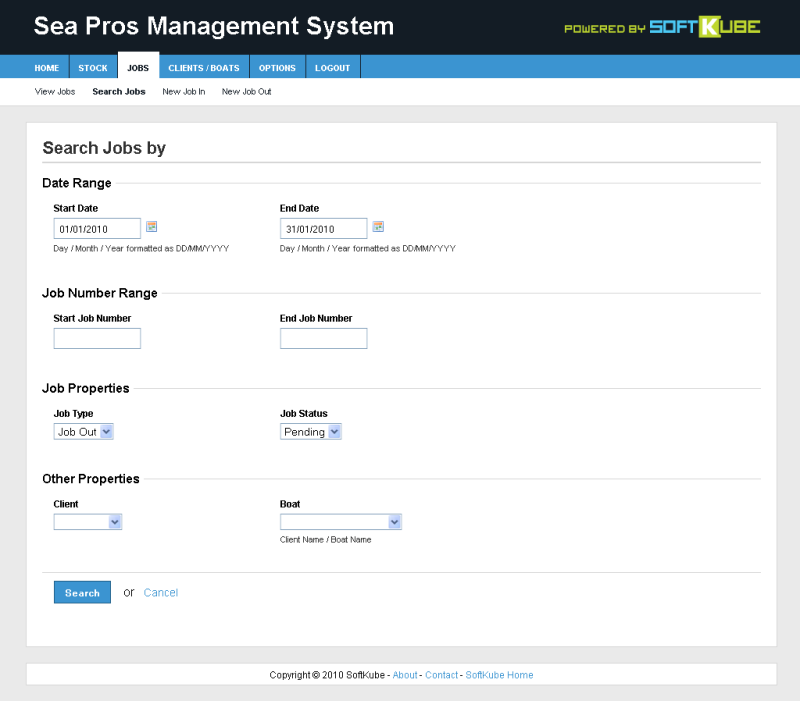 Job creation - Showing all the job details. The user gets a comforting 'please wait' dialog while the system executes time-consuming operations. 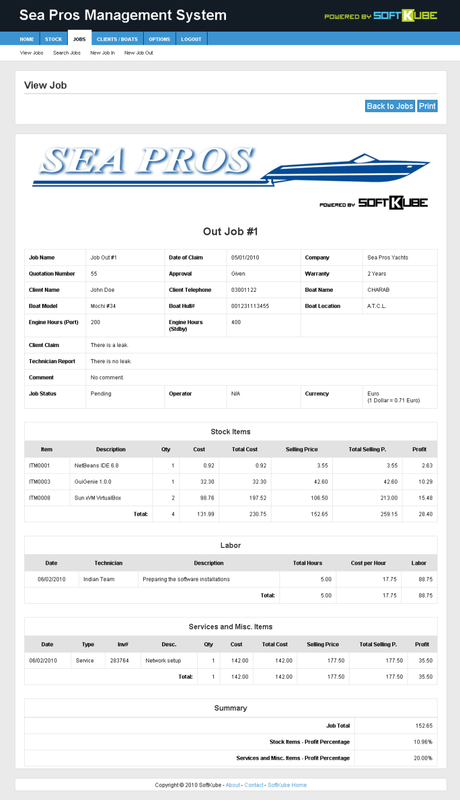 Showing a print-ready report of the job. 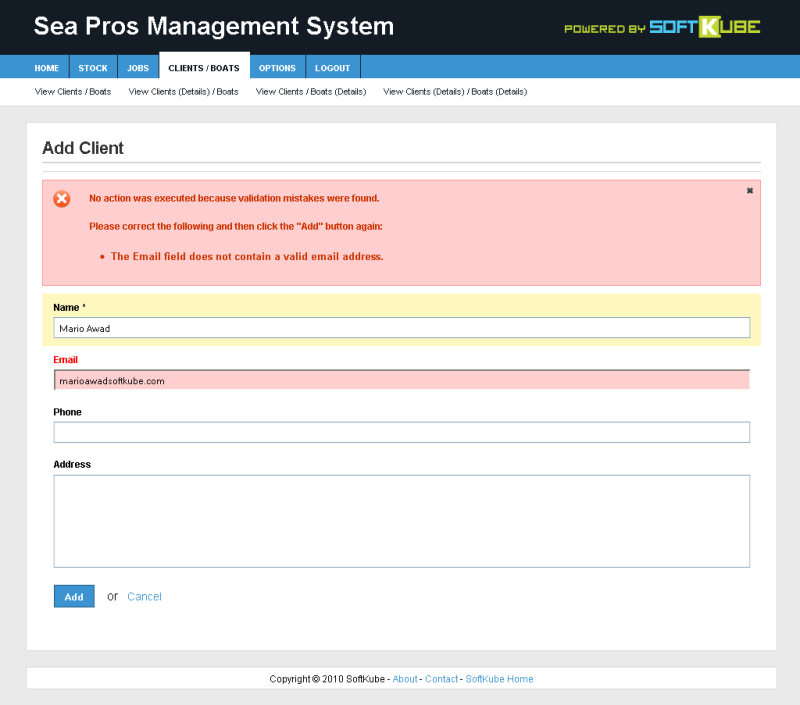 The header, menu, and footer are automatically removed upon printing. Search feature. The user can narrow his/her search results by filling more information in this form. 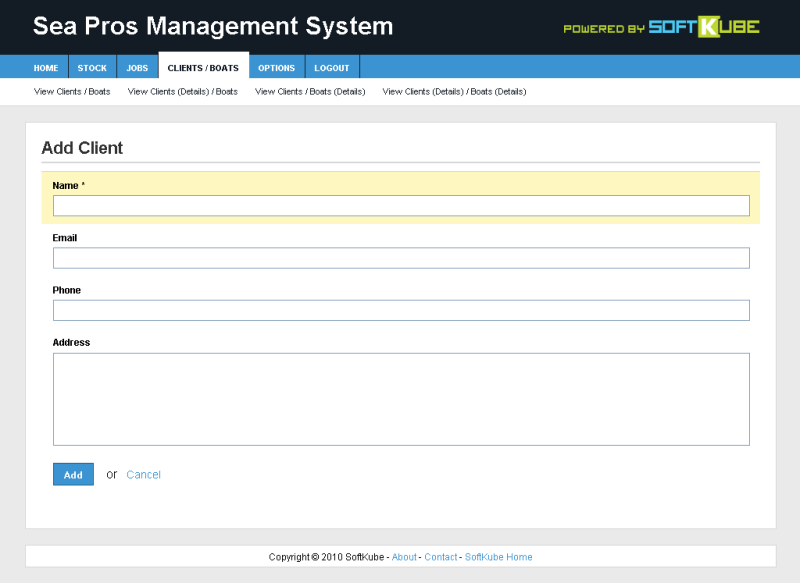 The system displays a user-friendly message when it executes an action. Sea Pros Yachts is a multinational company operating in the marine industry and providing sales of new and used boats and yachts from 19′ to over 260′, and a wide array of services including after sales maintenance, servicing and repairs, spare parts, certified and experienced crew, and yacht registration. 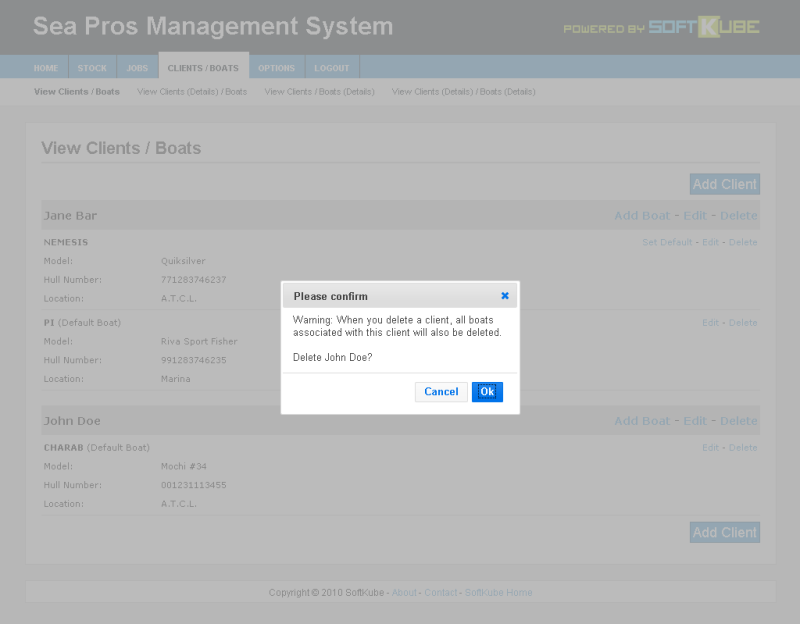 Sea Pros Management System is a multi-user web-based intranet application designed to run on the network of Sea Pros Yachts’ offices. 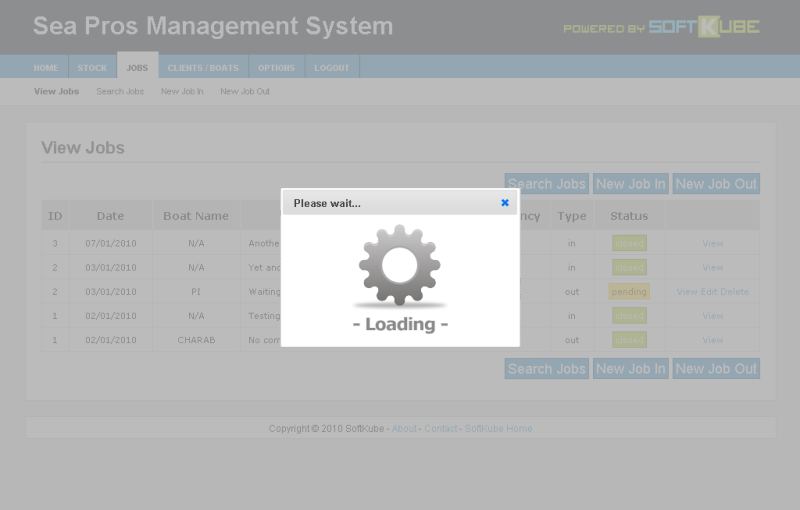 Any employee connected to the network can easily access the system by opening his/her browser and entering the internal address of the system. The system is built using state of the art Rich Internet Application controls and features. 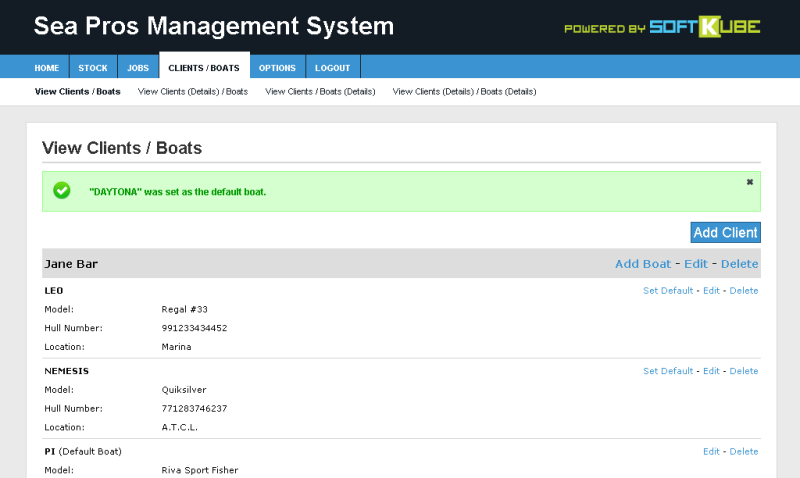 The following modules / features summary and the “Screenshots” section will give you a full insight on the system, its look and feel, modules, and features.